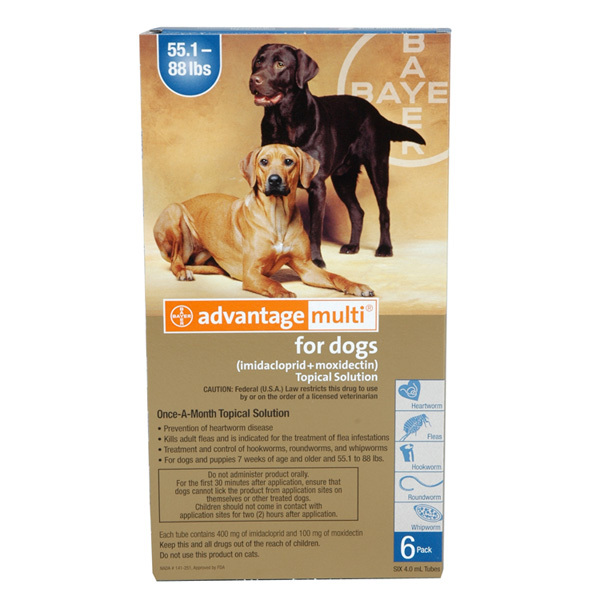 Advantage Multi keeps dogs & puppies 7 weeks and older a safe, simple treatment that blocks fleas & mites, treats internal parasites and prevents infections from heartworm. 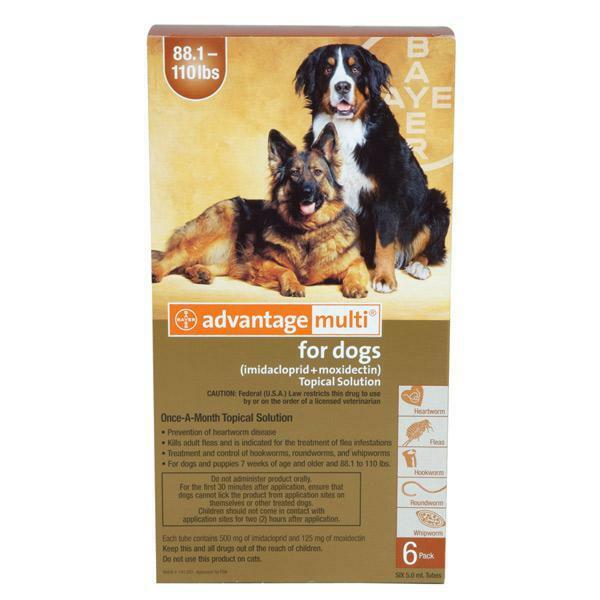 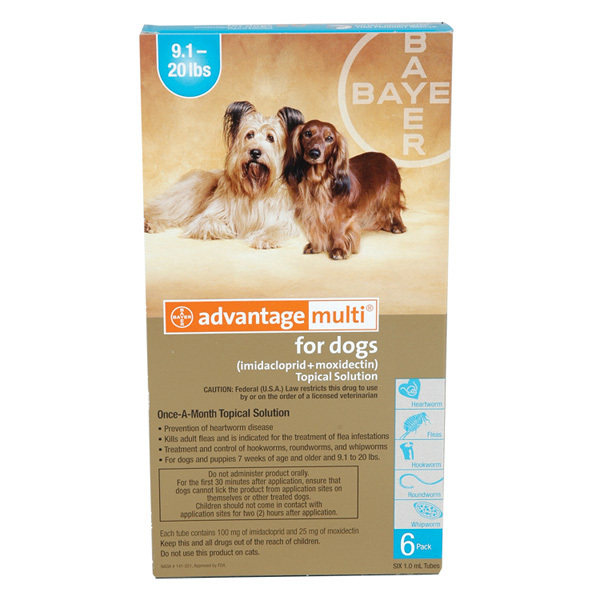 This product contains a 6-pack of Advantage Multi for dogs 3-9 lbs. 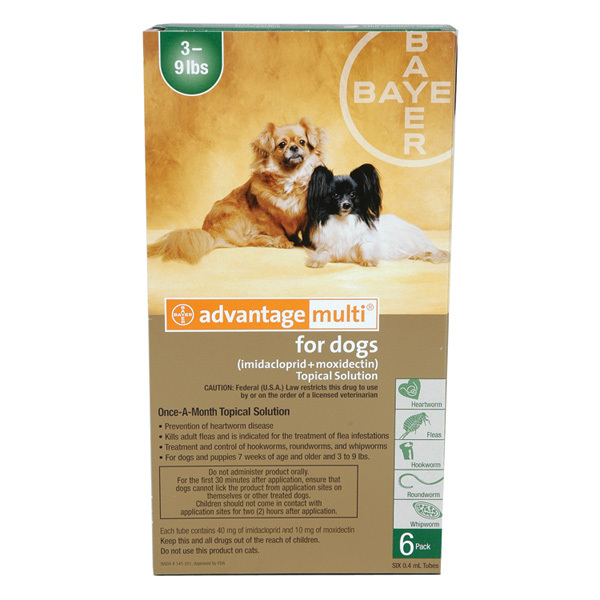 Apply directly from pipette onto skin, squeezing contents within parted hair between your dog's shoulder blades. 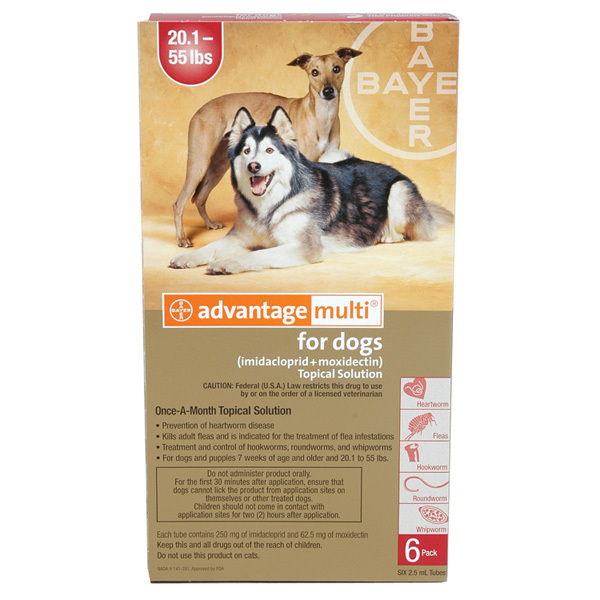 Dogs weighing 20 pounds or more should receive applications along the spine in 3-4 areas outside licking reach.